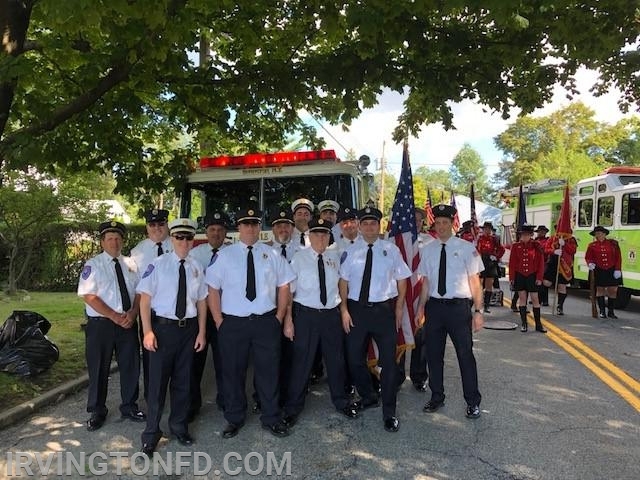 On Saturday September 15th, the Irvington Volunteer Fire Department marched in the Westchester County Volunteer Fireman's Association hosted by our neighbors in the Ardsley and Dobbs Ferry fire departments. Your Irvington Volunteer Firefighters won a trophy for 2nd best non-regulation uniform! 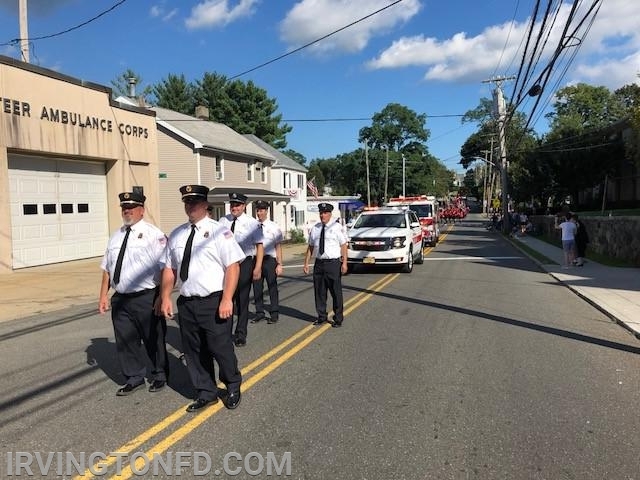 This was also the last parade for Engine 178 as it is due to be replaced in early November. Great job to our neighboring Battalion 14 departments. Members getting ready for the parade in front of Engine 178.